My sister contacted me the other day to tell me that she and my mum had been arguing over whether or not I was a Christian. She wanted me to settle the argument, to answer whether or not I was. By the way she contacted me by text, so my answer had to be brief. I said “well it depends what you mean”. She replied a little later to say “well we’ve stopped arguing now and have both agreed, that you are an awkward bugger”...well at least they’d stopped arguing about me, I thought. No doubt the conversation had been kick started by the findings of the Richard Dawkins Foundation for Reason and Science. During last year's census it conducted a survey on religious attitudes in Britain. It found that only 54% identified themselves as Christian, compared 72% in 2001. Almost three quarters who described themselves as Christian said they did so because they were born into the faith rather than it being their current belief. Only a third believed that Jesus was physically resurrected and that one in five did not believe in the resurrection, even in a spiritual sense. Almost half did not believe that Jesus was the son of God, while one in twenty five of those who declared themselves as Christian did not believe he existed at all. The findings have concluded that most people who identify themselves as Christian turn out, when questioned on what they actually think, to be overwhelmingly secular in their attitudes on issues ranging from gay rights to religion in public life. It concludes that these people who identify as Christian are not actually Christian at all. The report triumphantly heralds the end of faith in this country and the victory of secularism. 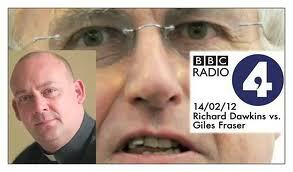 Fraser: Richard, If I said to you what is the full title of “The Origin of Species”, I’m sure you could tell me that. Prof Dawkins: Yes I could. Rev Fraser: Go on then. Prof Dawkins: On the Origin of Species...uh...with, oh God, On the Origin of Species. 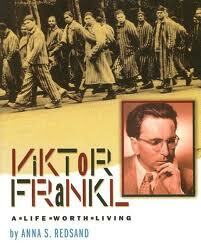 There is a sub-title with respect to the preservation of favoured races in the struggle for life. Rev Fraser: You’re the high pope of Darwinism...if you ask people who believed in evolution that question and you came back and said two percent got it right, it would be terribly easy for me to go “they don’t believe it after all.” It’s just not fair to ask people these questions. They self identify as Christians and I think you should respect that. 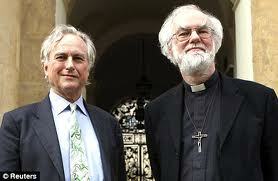 "There's nothing new in Richard Dawkins's findings about the British way of being religious. But it's always good to be reminded of the findings of a poll commissioned by his Foundation for Reason and Science: that most of us are not "true believers" in either religion or in secularism and that Britain is neither a religious country nor a secular one, but an interesting mix of both. That doesn't make us muddled, or woolly, or confused – it just makes us British." “It just makes us British” I love that. What has always troubled me about the fundamentalists either of religion or secularism is that they believe that they have the right to define what makes a person a believer or not. I find such positions arrogant. Who decides whether a person’s is a believer or not? Who has the right to set the boundaries? Of course no one is immune from this; I know I’ve done it myself. I could be accused of it in a previous blog (naughty me). Anyhow I'd just about given up on them all when something remarkable happened, during a debate between Professor Dawkins and the Arch Bishop of Canterbury, Dr Rowan Williams at Oxford University. The two men politely discussed “the nature of human beings and the question of their ultimate origin”. They also touched upon the meaning of consciousness, the evolution of human language and the Arch Bishop’s beard. For most of the discussion the Arch Bishop quieltly listened to Professor Dawkins explanations of human evolution and said that he was inspired by the elegance of explanation for the origins of life and agreed with much of it. Professor Dawkins told the Arch Bishop "What I can't understand is why you can't see the extraordinary idea that life started from nothing - that is such a staggering, elegant, beautiful thing, why would you want to clutter it up with something as messy as a God?" Dr Williams replied that he "entirely agreed" with the "beauty" of Professor Dawkins argument but added. "I'm not talking about God as an extra who you shoehorn on to that." And the something staggering happened, Professor Dawkins acknowledged that he was less than 100% certain of his conviction that there is no creator. At this Sir Anthony Kenny, who chaired the discussion, interjected: "Why don't you call yourself an agnostic?" to which Professor Dawkins answered that he did. To which the flabbergasted Sir Anthony replied: You are described as the worlds most famous atheist." Professor Dawkins went on to say that he was "6.9 out of seven" sure of his beliefs that the probability of a supernatural creator is very low. Later the Arch Bishop said that he believed that human beings had evolved from non-human ancestors but were nevertheless “in the image of God” and added that the explanation for the creation of the world in the Book of Genesis could not be taken literally. Stating that “The writers of the Bible, inspired as I believe they were, they were nonetheless not inspired to do 21st Century physics,” he said. We have now entered into the season of Lent, perhaps the most important period of the Christian calendar. For many Lent is about giving things up, it is about self sacrifice. It is about that central religious message of self giving love. According to the Biblical accounts at the beginning of his ministry Jesus is “led by the spirit” into the wilderness, a place of transformation and temptation. He is taken to the pinnacle of the temple and to the top of a high mountain. Here he is offered the world, but rejects the allure of an easier showier more obvious path. Instead he chooses the road less travelled, the heroes path. This is a universal tale; many of the great sages went on similar journeys, before embarking on their missions to heal their people. The Buddha had to leave the comforts of home, abandon his weeping family, shave his head and don the robes of a world renouncing ascetic when he began his journey to discover a cure for the pain of the world. Long before his revelations Muhammad use to retreat to Mount Hira, outside of Mecca, where he fasted, performed spiritual exercises and gave alms to the poor. He did this in an attempt to discover a remedy for the troubles of his time. When Ghandi began his mission he left the comforts of the elite in which he had lived his whole life and travelled India carefully observing the plight of the ordinary people. During their own times in the wilderness the great sages found their answers. Through taking the road less travelled, the hard road, the difficult road, the answers came to them. They discovered the knowledge they needed to impact positively on their people in their time and place. This is the spiritual life in its essence. It is often the hardest most difficult path and it can certainly appear to be the loneliest. That said it is the one where the answers are usually found. Now none of these meanderings answers my sisters initial question I know. I promise I am not being evasive. I’d like to explore one of the more recent great sages Gandhi and his relationship with Christianity and specifically Jesus in an attempt to answer her question. 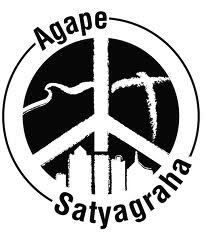 Gandhi saw Jesus as an ideal Satyagrahi, which is resistance to evil through soul force . 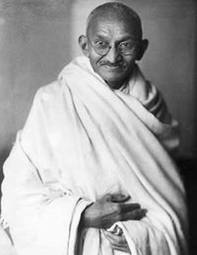 Gandhi studied the Bible everyday for years and was greatly impressed with the New Testament particularly “The sermon on the Mount”. Like many Hindu’s it was the gentle figure of Jesus that he admired, who taught his followers not to retaliate and to resist violence. For him it was not the historical event of Jesus that mattered, but what the example of the message of his life had to offer humanity. For Gandhi Jesus exemplified what it meant to serve your fellow humans and saw this as the guiding principle of his life. He saw the cross as being the perfect example of this sacrifice. So to answer my sisters question as to whether or not I am a Christian my answer is still the same, “it depends how you define Christianity.” For me, like Gandhi, Jesus is the example of self giving love that I aspire to. If being a Christian means following Jesus as the example to humanity then I am a Christian; if it means that I have to believe in the teachings of the established church then I am not. I am sure that by the definition of the fundamentalists of Christianity or Secularism then I am not. That said I do believe in the Jesus that Gandhi held up as the perfect Satyagraha. I see him as the embodiment of self giving love, as the example to us all. That said I do not see him as the only one, many of the great sages have also shown the way too and I also see those same heroic figures in my world today. We are all capable of being them. Lent for me is about attempting to practise this in my life day by day. It’s not about giving up sweets or chocolate etc, it’s about giving of myself to life each and every day in whatever small ways that I can. It’s about practising non-violence not only with myself but others too, it’s about facing up to my own demons, those within and those without and about attempting to build the commonwealth of love here on earth. It’s about self transcendence; it’s about the full realisation of the truth that it is giving that we truly receive and that it is in these moments that we can know God. This is a story from the native American, Comanche tradition, “She-Who-Sits-Alone”. A terrible time once befell the Comanche people. It was a time of drought. The land was dying and the people were dying too. In their despair, they called upon the Great Spirit. And so they prayed, and they danced. They waited, and they prayed. But no rain came. And the little ones and the old ones suffered, and no one knew how to end the suffering. But there was one small girl who had not yet died of hunger. Her name was She-Who-Sits-Alone. Sitting alone, she watched her people pray and dance, and she held her beloved doll in her arms. The doll was her ultimate companion, her second self, dressed in its warrior clothing, with a bone belt and beaded leggings, and bearing the feathers of the blue jay on its head. The people gave thanks and then returned to their teepees to search out their most treasured possessions. “surely the Great Spirit does not want my bow,” said the archer. “Nor could the Great Spirit possibly desire my treasured blanket,” said the mother. “I know that the Great spirit could not be asking for my herbs,” said the medicine man. And so it continued. Everyone had a reason not to give the Great Spirit their greatest treasure. So that night, when everyone slept, She-who-sits-alone threw off her sleeping blanket and climbed to the top of the mountain, carrying her warrior doll in one hand, and a lighted stick from the campfire in the other. When she reached the mountain top, she spoke to the Great Spirit. “Great Spirit,” she said, “here is my warrior doll, the gift of my mother and my father before they died, and my most treasured possession. Please accept it,” As she kindled the fire, she wept, and she remembered her parents and grandparents and friends who had died of hunger, and she thrust her doll into the flames. Soon the fire died down. She gathered the cooling ashes and cast them to the four winds. Exhausted, she lay down on the mountain top and fell asleep. When the rising sun kissed her awake the next morning, she looked around, dazed. 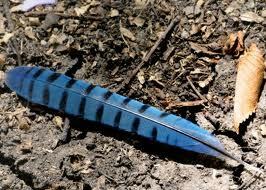 There, where she had offered her sacrifice, lay a shinning feather of the blue jay. And as she knelt to look more closely, the first drops of rain caressed her face. From then on, She-Who-Sits-alone was given a new name by her grateful people. she became known as One-Who-Loved-Her –People. Today marks the beginning of Lent. Lent reminds us that there are journeys we all have to make in life; physical journeys, spiritual journeys. Some journeys we can share with others, but other journeys lead us into the wilderness alone. You would have thought that this would have been a moment to savour and enjoy; a moment to soak up this incredible realisation; a moment of total bliss and happiness, but it wasn’t. Instead what happens is that he is led “by the spirit” into the wilderness to be tested. There is no time to rest on his laurels and enjoy this moment of connection and wholeness. For some reason Jesus had to immediately live out his calling, rather than sit around and enjoy his moment of blessing. This journey that was forced on him was not a pleasant jaunt through the Cheshire countryside, like I have begun to enjoy in my time living in Altrincham, it was not a saunter through Dunham Park. It was in no sense a picnic or walk in the park. Instead he spent forty days enduring extreme deprivation and confrontations and endured a great deal of self examination. The Biblical accounts describe him being tested by the devil, by temptation. He suffered greatly and he struggled with this suffering and he suffered alone. His solitary struggle to remain true to his covenant and his calling echoed those of his ancestors who had spent forty years in the wilderness establishing a religious community after they had escaped the Pharaoh and Egypt. Jesus and his struggles are a great metaphor for our common human experience. Entering into a time of wilderness is something that every person’s soul must journey through. At some point we all have to leave our childhoods behind and enter into adulthood. We cannot live in our childish Eden forever, we are all cast out into the wilderness at one point or another. We gain knowledge of life and when we do, this hurts. So what do we do? Well we discover the resources that we need in order to live, or we flounder. I have experienced this sense of being cast into the wilderness many times in my life. Sometimes I have risen to the challenge and overcome the obstacles, sometimes alone and at other times with friends. On other occasions I have not. I have run away and I have hidden from whatever life has thrown at me, thus destroying my “self worth”. During the last few years I have generally risen to the occasion, less and less do I run from life. This is what faith, the religious life, has given me above anything else. It has given me the strength to be who I am and to live with honesty and integrity. I can look the world in the eye today and say, this is who I am. I do not hide in shame, I speak my truth in love. I no longer need someone else to define who I am. That is the power of faith! The journey into the wilderness reminds us that we are alone and yet we are not alone. Neither are we where we have been or where we are going to. The time in the wilderness is a time of danger and possibility, a time of risk and a time of promise. While we wander in the wilderness the spirit may well descend like a dove and lift us up on its wings of hope and then drive us down into the depths of despair. It may affirm us with gifts of grace and then challenge us to change. In all the great religious traditions of both the east and the west this journey into the wilderness represents a time when we both pursue and resist the Holy. The poem “A journey” by Edward Field portrays that sense of letting go of something at the end of the journey and how this is often a struggle, to open up the clenched fist. How even at the end of something when we are about to release these pent up emotions, we can often still be afraid of how vulnerable and exposed we can appear to others. I love and identify strongly with the man hiding behind his newspaper before he is able to allow the tears to roll from his eyes. To follow the rational weavings of the seat fabrics. He didn’t do anything violent as he had imagined. In the story “She-Who-Sits Alone” has to go up the mountain top to let go of her doll. The rain fall, like tears on her face, only comes at the end of her journey. Jesus, of course, often went away from his people to commune openly and honestly with his father. I have had similar experiences myself. I often go away on my own, either in the countryside or sometimes in the chapel to have those private moments, and I live alone. I do sometimes experience them while walking in a busy bustling street, but it rarely feels appropriate; I am still haunted with the age old saying “boys don’t cry” One of my demons. This time in the wilderness is meant to be seen as one of purity, that is why one element of Lent is this idea of fasting, of giving something up. It is of course worth noting that virtually every religious tradition throughout human history has a period of fasting. 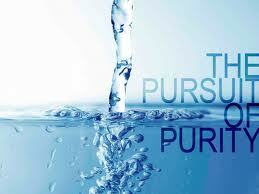 There is value in this cleansing purifying commitment. It’s not just about food though, that is symbolic. This time in the wilderness is not only a time of purity of letting go of things it is also a time of self sacrifice. Lent has a double meaning, it is about purification of the self and self sacrifice, universal religious principles. In the story “She-Who-Sits-Alone” is prepared to give up her doll her most prised possession, given to her by her now dead parents. She calls this doll her second self. She gives up this doll as she wanders into the wilderness and to the top of the mountain and sacrifices it. She falls asleep and when she awakens she finds the feather of a Blue Jay, just like the one that had sat on her dolls head. The rains soon follow, falling on her face, like tears, which save her people. From that day she becomes known as One-Who-Loved-Her –People. It is important to realise that she does not give her life, only her prized possession, this is because she loves her people more than her doll, her other self. Her people are more important to her than herself identity. Most of us though cannot do what “She-Who-Sits-Alone” achieved. We are unwilling to let go of those things that we believe define and protect us, remember her doll was her id and it was her warrior too. Most of us are more like the archer, the woman, or the medicine man, unwilling to give up our blanket or bow or herbs, we are human. We believe these possessions identify and protect us. Jesus, the great example, is difficult for us to live up to. 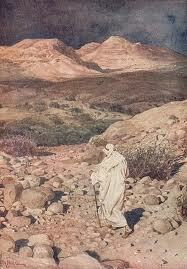 He endured many tests during his time in the desert and was offered many temptations, but he resisted each time. I do not always resist these temptations, but I no longer beat myself up about my imperfections. I do not think that Lent is asking us to be perfect; it’s a mistake to view it that way. That said it can be interpreted this way and there are real dangers in this. Trying to be perfect can create a paralysing fear that leads us to flee life and stops people doing the simple things they are more than capable of. I love this line from the song “Purity” by New Model Army. This constant gnawing need for perfection, to transcend our humanity does us no good, in fact it can paralysing...I firmly believe in the mantra “progress, not perfection”...progress is tangible...where as perfection is something that seems way beyond my means. Like everyone I will keep wandering off into the wilderness and experience the pain of battling with my demons. I will give what I am able to give to others too, but I won’t do it perfectly...I do not know what perfection is. That said I will do what I am able to do and perhaps that’s the real message of Lent, to give or give up what you can. During my recent visit to Transylvania I was invited to preach at the anniversary service of our sister congregation of Maros St George. While preparing I was asked to wear a badge depicting the symbol of the Transylvania Unitarians. Tamas, the minister explained to meaning of the images on the badge. They are deeply symbolic it would seem. There are four distinct features to the symbol: a dove, a serpent, a mountain and a golden crown. 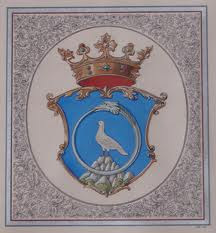 The dove symbolises peace; the serpent symbolises wisdom; the mountain symbolises height; the crown symbolises kingship. It is inspired by a passage from Matthew's Gospel chapter 10 v 16 “Behold I am sending you forward as sheep in the midst of wolves. Be therefore wise as serpents and innocent as doves.” In this passage Jesus is warning his disciples of the dangers that they will face in carrying their message of radical love, to a wounded world. He is saying that they will be no safer than lambs amongst wolves; he is saying that they must employ wisdom in the way they impart this message, in a hostile world. The Transylvania Unitarians have adopted this symbol because they have needed to be as wise as serpents and as gentle as doves. Throughout their history they have always been a minority group and have faced persecution, from both religious and secular sources because of this. During the sixteenth century the threat came from many sides. Other none trinitarian thinkers of the time, such as Michael Servetus, were burned at the stake for proclaiming their heresy. Somehow the Unitarians in Transylvania survived, some might say miraculously. How did they survive? Well probably because they took head of this simple message, they were as wise as serpents and as gentle as doves. A message that they still need to take heed of today. At the centre of their symbol is a dove, an important image in the Judeo-Christian tradition. It makes its first appearance in the story of Noah’s Arc. Noah sends out a dove to find land, eventually it returns with an olive branch. This symbolises the re-birth of life, something very important to Transylvanian Unitarians. They are very much tied to the ground, to the soil and the cycles of life. 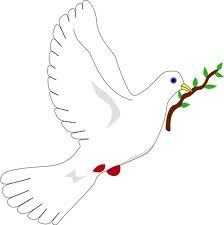 The dove of course is the symbol of peace. A dove is gentle, but only when it is free, when it can fly as it is meant to. A dove can become aggressive if enclosed in a cage. The dove symbolises the soul, our essence, our being. The dove symbolises our soul's need to remain open to all that life offers. We all need the openness of innocence in order to live peaceful, harmless and gentle lives. The dove is standing on a mountain, on solid rock. This symbolises the ethical heights that we need to reach in order fulfil our human potential and appreciate the earth on which we all stand. The rock is also symbolic of stability. To reach our potential we need to stand on solid ground. I see parallels between the soaring of the dove to the top of the solid mountain and the chalice symbol, that identifies Unitarians globally. The flames of the chalice reach out beyond the cup of love in which the fire is set. This reminds me of the words from that beautiful Unitarian hymn "Spirit of Life"
The serpent symbolises wisdom. 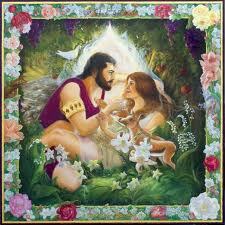 In the bible it first appears in the story of Adam and Eve. It reveals the forbidden knowledge of life and death. For this the serpent is cursed to sneak around on its belly near to the rocks. The wise serpent lives close to the water, the source of life and for this it is respected by people of desert cultures. They consider the serpent to be very wise indeed. 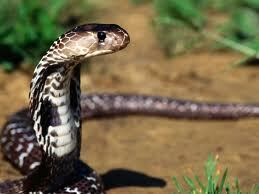 When we think of serpents or snakes we think of danger. Some can be venomous and can kill, but their venom can also heal. The serpent is indeed a source of life and death; it does carry the knowledge of life and death and it is of course the gaining of this knowledge that leads to the loss of innocence. 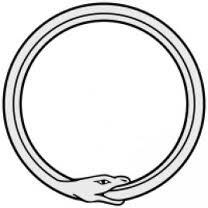 In the Transylvanian symbol the serpent is in a cirlce, a ring. This symbolises eternity, and the continual rebirth of life. As they say in Transylvania “life is eternal and the soul is invincible, we can be reborn every day” The dove stands within the circle. The wisdom of the circle protects the innocence of the dove. The message is to remain wise and innocent in order to live a full life. There is a golden crown at the top of the Transylvanian symbol. This is the crown of the only Unitarian king in history John Sigismund, who by signing “The Edit of Toleration” in Torda in 1568, gave Unitarians protection. This meant that they were not wiped out as they were in other parts of Europe. The crown is no ordinary crown, it is golden, it symbolises the God or Goddess, the creator of the universe. It also carries the message of infinite and perfect happiness, a goal worth striving for; it is a source of aspiration for the Transylvanian Unitarians. They believe that we can all be kings and queens, that we can all wear the crowns. What a powerful image this Transylvanian Unitarian symbol is. It teaches that we can all reach the summit of the mountain and wear the crown of happiness. A difficult journey no doubt, but one worthy of taking. It also teaches that we can attain this if we are wise enough to remain innocent and aspire to that perfect happiness. Our lives are surrounded by symbols. Symbols are far more than pictures; they carry a story within them that is bursting to be let out. The great twentieth century theologian Paul Tillich talked extensively about symbols. He believed that they were more than simply signs pointing somewhere; they also possessed, within them, an element of qualities that they were pointing to. The purpose of the symbol is to open us up to deeper levels of reality that cannot be grasped by other forms of communication. They therefore reach the parts that words alone cannot. They enable us to connect to an ultimate reality (his name for what religions call God). They are seen as a window to a transcendent reality, rarely touched. The symbols are of course not the reality itself, just as the word describing it is not the reality either. They do though reveal something of this greater reality, that is called God. The Transylvanian Unitarian symbol describes almost perfectly the soul of those beautiful people that I spent a short time with, last Autumn. 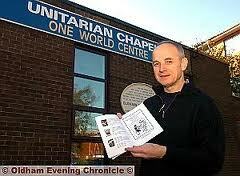 As a student minister I spent a year at the Unitarian Chapel and One World Centre in Oldham. Outside the chapel is a sign. It reads, “open to all who wish to worship with an open mind, in a spirit of freedom, reason and tolerance. We do not hold the same beliefs; rather each person is encouraged to develop his or her faith in a continuing search for truth.” I believe that this speaks powerfully and coherently to the Unitarian tradition that I am a part of. The Unitarian faith is ever evolving, as all life is evolving. 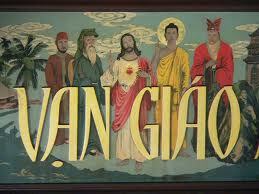 It has its roots in the Liberal Christian Tradition, inspired by the life and teachings of Jesus. Our symbol, the chalice exemplifies this perfectly. It is a kind of cross, but an evolving one, with the flames reaching out much further to a place way beyond our imaginations. So while we are rooted in the Liberal Christian tradition we have evolved beyond this starting point and embrace truth from a myriad of sources. A flame burning in the cup of love is deeply symbolic of the roots from which we were formed, but the flames seem to indicate something more, something eternal, something way beyond the limits of human vision. I see parallels with both the dove and the serpent and that golden crown of the Transylvanian symbol here. There is freedom in the flames, there is wisdom yet to be unearthed in those flames and there is that crown that we can all aspire to. I also see the rock on which all this stands; the solid base that sustains us as we reach further, to who knows where. This is religion in its truest sense, this searching together, this working together, and this giving together. 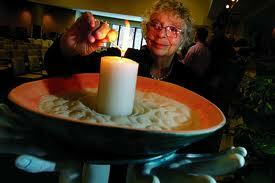 Each individual Unitarian adds to that flame and also takes from it. It is this continual communal search and struggle that is the rock, or the cup on which the Unitarian free religious faith is built. Where this leads, no one can know, certainly not I. The truth is that no one knows for certain. It seems that there were several early Christian martyrs who bore the name. The best known and the one who the legend is probably built around was a third century physician priest, who conducted weddings for soldiers in Emperor Claudius II army. The Emperor had outlawed marriage for his conscripts, believing that it made them poor soldiers. Many defied these orders and secretly married, Valentine was one of the priests who conducted the ceremonies. 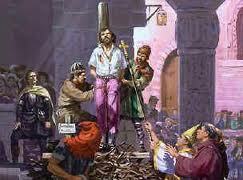 He was eventually discovered and imprisoned for this. While in prison, awaiting execution, he fell in love with the jailers blind daughter who it is said he restored to sight. Shortly after his execution a love letter was found addressed to her, it read “love from your Valentine”. The date was 14th February 269. 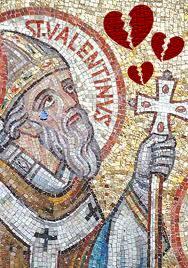 Two centuries later Pope Gelasius declared 14th February to be Saint Valentine’s day, and Valentine became the patron saint of lovers. 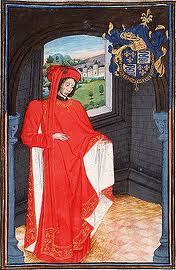 Charles, Duke of Orleans, who was taken prisoner at the battle of Agincourt in 1415, and held in captivity for twenty-five years, was the author of the earliest known written Valentines. He left about sixty of these love poems for his wife. Sweetly consent or else deny. Wilt thou be mine, Love? we may be Happy by one word from thee. The first commercial Valentines card was manufactured in the mid nineteenth century by Esther A Howland and today Valentine’s day is celebrated all over the world. It has become a huge commercial enterprise and like Christmas it appears to have lost much of its true meaning. We can though still discover some of it's magic, if we look beneath the ribbons. I have a Valentine in my family, My nephew is called Johnny Valentine Budby. He is named after two members of the rock band Electric 6. His older brother is called Joey Ramone Budby. He is named after Joey Ramone, from the punk band The Ramones. Joey and Johnny’s dad Rick has been a drummer in bands for years, he’s an old mate of mine from my past, when I was in bands too. He’s a great dad, although I do wonder about the stick that might come the way of these boys later in life. That said if either become famous, they’ve already got names that belong "up in lights." On Valentine’s Day we are supposed to express our love for those who we feel passionately about. We are meant to do this publically, but we are also meant to express the love we dare not reveal, our secret love. The love we dare not name. I’m sure everyone has, at one time or another, either sent or received a secret Valentine’s card. There seems to be something very painful in all of this. Valentine’s day is really not about flowers and bunny rabbits it would seem. Is Valentine really about the love between two people or is it more about unrequited love? Is it about the light of love, or shadow side of love? Certainly its history, its mythology, is bathed in sadness and pain and loss. 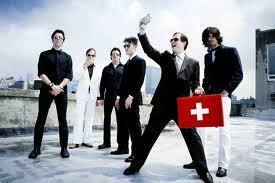 Does Love, as Roy Orbison once sang, hurt? In Greek Mythology passionate love begins when we are wounded by Eros’s Arrow. This suggests that we must first be pierced by it before we can experience its joy; that we must be opened up to hurt before we can begin to experience love. This message appears to be shared by many of the faith traditions. In Christianity God’s love is expressed through the sacrifice of Christ on the Cross. The classic example in Judaism is Hosea’s continued faithfulness to his cheating wife, a metaphor of God’s faithfulness to his unfaithful people. Examples are found in Hinduism, which depicts Krishna continually returning to fight evil and in Buddhism where the Bodhisattva refrains from entering Nirvana in order to save others. All these positive, beautiful expressions of love are grounded in pain. It would appear that the faith traditions are suggesting that in order to experience the joy of love we must first know its pain..Cupid’s arrow must first pierce our skin before it can penetrate our hearts. I recently attended the annual interfaith dinner at Altrincham Boys Grammar School. It was a fascinating and joy filled evening, it was great to see people of many faiths mixing and enjoying each other’s company. During the evening I had a conversation with Alan Morris, the Deacon at Holy Angels Church in Hale Barns. He asked me why I’d entered into the ministry? This is one of those questions I never like to answer, mainly because it begins with sadness. As I have expressed before my journey really began as I came to terms with Ethan’s death and witnessed the incredible compassionate love shown by the whole community to his family, in their time of need. The love I experienced through his short life and even through his death is why I entered into the ministry. His life and death changed me. If I had not felt that pain, would I have entered into the ministry? God knows. As I have said before, we do do not get to choose our pain, only our response to it. 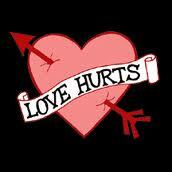 I agree with Roy Orbison “love hurts”, however it manifests itself. Can love be as strong as death? Well I believe so. It is love that gives life meaning and purpose, even in its pain. Real love can survive and overcome just about anything, any hurt any pain. When we love someone deeply, we create an eternal bond. This is a spiritual connection in which personal anxiety and pain is dispelled through our relationship to one to another. 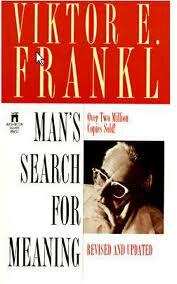 Victor Franklin in “Man’s Search For Meaning” wrote about his life as a prisoner in the Nazi death camps. He remembered that those who had no connection to people, or hopes or dreams or to God gave up very quickly and died. This he said was because they had nothing to believe in but their own bodies, which were imprisoned; where as those who communed in their thoughts, dreams or prayers with someone or something they loved survived much longer. 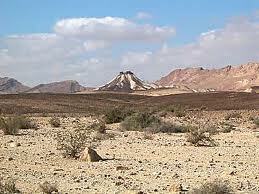 ... We stumbled on in the darkness, over big stones and through large puddles, along the one road leading from the camp. The accompanying guards kept shouting at us and driving us with the butts of their rifles. Anyone with very sore feet supported himself on his neighbor's arm. Hardly a word was spoken; the icy wind did not encourage talk. Hiding his mouth behind his upturned collar, the man marching next to me whispered suddenly: "If our wives could see us now! I do hope they are better off in their camps and don't know what is happening to us." Frankl later reflected that even if he had know that his wife was dead, their relationship would have been as strong in that moment because the reality that their love created was stronger than death. 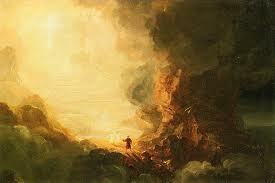 It was a flame that neither water nor flood nor human frailty could quench. It was a power that could overcome any suffering and sustain him in in what was perhaps the darkest period in human history. Love, however it may manifest itself, is what gives life meaning. Be it for wife or partner, family, friends, community, life, nature or God, it is the expression of this love that gives life its bliss, even in the darkest of hours. Happy Valentine's Day. May you know the love that is present in life. 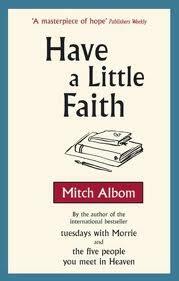 This is a short extract from "Have a Little Faith" a book by Mitch Albom. It is set over an 8 year period and explores the lives of two extraordinary men. One the author's childhood Rabbi Albert Lewis and the other is a former drug addict and criminal Henry Covington who spends his time serving a community of primarily homeless people, alcoholics and addicts in a run down old church. The extract is from a sermon delivered by the Rabbi. Several week pass, and suddenly, in the middle of the night, a powerful storm rips through the valley. So he dashes off to the barn. He sees, to his amazement, that the animals are secure with plenty of feed. He runs out to the field. He sees the bales of wheat have been bound and are wrapped in tarpaulins. He races to the silo. The doors are latched, and the grain is dry. My friends, if we tend to the things that are important in life, if we are right with those we love and behave in line with our [beliefs], our lives will not be cursed with the aching throb of unfulfilled business. Our words will always be sincere, our embraces will be tight. We will never wallow in the agony of `I could have, I should have.’ We can sleep in a storm. As I mentioned in my last blog I am a very deep sleeper. I was apparently like this as a child. It would appear that this is my natural state. 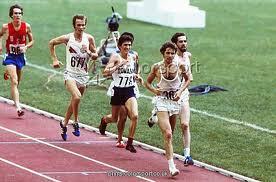 My mother often recounts a tale of me wanting to watch Brendan Foster run in the 1976 Olympics. 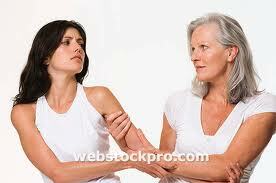 She promised me if I went to bed early she would wake me up when the race began late at night. I was only four years old at the time. She tells me that she found it virtually impossible to wake me, but she persevered and eventually I awoke and watched the race. I wept at the end as my cheering him on did not lead to his victory; he only won a bronze medal for finishing third. Brendan Foster was my first sporting hero. I have had to overcome many sporting disappointments since. My heroes rarely come in first it would seem. As a child I slept well, but this changed as I moved into my teenage years and young adulthood. By my mid twenties this got progressively worse. 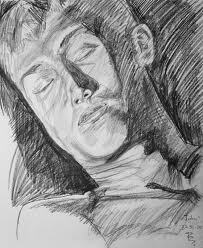 I could not sleep sober, my mind never stopped, it was over laden with worry, concern and regret. This only changed as I found faith, as I found spiritual connection to a power greater than myself and began to live by spiritual disciplines. This of course did not take any of the problems away, but it seemed to take the weight off them and reduced them to right size. My mind has never spun uncontrollably since. Now I’m not saying I never have disturbed sleep, of course I do. From time to time it takes me a while to process things. I can get caught up in worry and resentment, but not for very long. One of the disciplines that I attempt to follow each day is to put my day to bed before I put myself to bed; I put my mind to bed, before putting my body to bed. On the whole it works very well. I reflect over my day meditatively and then spend a short time in prayer. Ever since I began to practise this simple discipline the insomnia has gone away. Of course sometimes I don’t do this as carefully as I could and interestingly it is often on these occasions that I find it harder to settle down. This is not an easy practise to get into and of course patience and persistence is required. Results do not usually come over night. As I’ve said in a previous blog “Wax on Wax off” from the Karate Kid, always helps me to maintain spiritual disciplines. Patience and discipline is required and slowly results do come. We may not notice them immediately, but they can and do come. I do love that little story above, from “Have a Little Faith”, The man sleeps in the storm because he has taken care of what he can take care of; he sleeps soundly at night because he has done all that he can during the day. This to me is the essence of faith, well actually to put it accurately it’s the essence of faith and works, taking care of what is our business and trusting that the universe will take care of the rest. We cannot control the wind, but we can usually set our sails accordingly. I love this simple, open and honest humility. This brings the words of the serenity prayer to my mind “God grant me the serenity to accept the things I cannot change, courage to change the things I can and the wisdom to know the difference.” If only we could all find the wisdom to know the difference. 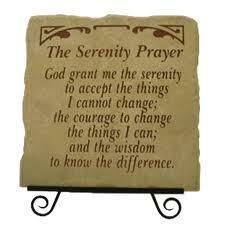 I love the serenity prayer for many reason, but primarily because it is humble, honest and open. It is not a petition demanding that the universe conform to our will, instead it is asking for guidance and strength to do our part and to see what our part is, while also accepting the realities of the world in which we live. Finally it also points to the fact that we need to discover the wisdom to know what our stuff is, what our stuff is not and what is in our power to change. “I am only one; but still I am one. I cannot do everything; but still I can do something: and because I cannot do everything, I will not refuse to do the something that I can do.” No it’s definitely a prayer about doing what you can, but it is also about accepting your individual human limits and not playing God. Of course it is not always easy to keep faith and to simply keep doing what one needs to do day by day, especially when the storms of life hit us. 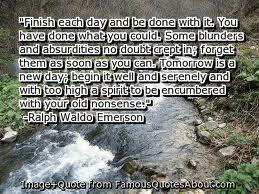 We should never confuse serenity with passivity or lack of care. It is not a state of limbo. 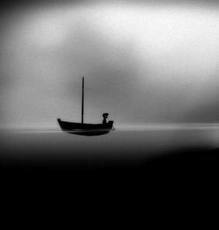 I see limbo as a state of self protection, where there is no faith and no room for God. In Catholic theology it is a state preserved for the innocents. If we translate this into our lives as we actually live them it seems to be a frozen state where there is no life. It is a state ruled by fear and not faith. Limbo is the fear of going out, because we are not certain that we will enjoy ourselves; Limbo is staying silent over an injustice, because we don’t know if anyone will listen to us; Limbo is expecting the wind of change to blow in our direction, instead of setting our sails accordingly; Limbo is fleeing from life just because it is becoming uncertain and or a little out of our control; Limbo is for people who will postpone a decision or action until they are absolutely certain that it will work out in their favour; Limbo is procrastination, it’s what we put off until tomorrow, what we could have taken care of today: Tomorrow does not yet exist; Limbo is a lifeless state where nothing exists; Limbo is the domain of the zombie and not the human. I have a confession to make. I can be very impatient, especially when it comes to those inbetween moments when I’m waiting for something to happen. It doesn’t seem to matter if I’m waiting to hear good news or waiting to start on a new adventure; or whether I’m waiting to hear something that is potentially awful, that would put a stop to my plans. I do not like waiting on the cusp of things. More than anything this tests my faith. I’m fine in the middle of a crisis I can stay calm in the storms of life and set my sails accordingly. My problem is during those inbetween days when I have to wait and there is nothing I can do about a situation. I don’t suppose I am alone in this. I want to push, I want to impose my will and it only causes trouble. I am getting better at this though, progress not perfection as they say. Faith alone cannot build that commonwealth of love that I’m sure we all desire for our worlds, on both a micro and macro scale. Human salvation requires human action. 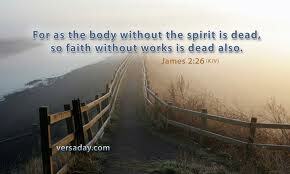 As it says in James 2 v 17, “Faith without works is dead” We are responsible for the world in which we live. That said it is important that we accept our human limits as well as our potential. This though is not about simply passively accepting life as it is, that this is somehow how it is meant to be. When I look at my world and my own life, there is much that I and we have done to create our troubles. Accepting our limits is not about accepting the status quo; it is about accepting that we cannot do everything though, humility is essential. That said there is much we can do. It is also about clearing up after ourselves each and every day and having faith in the simple spiritual principles that are there within all the great faith traditions of human history. And do you know what this all starts with a good night’s sleep, which I have discovered only comes if I have taken care of everything that I can, both in the physical, mental and spiritual sense. We can all become men and women who sleep through the storms.